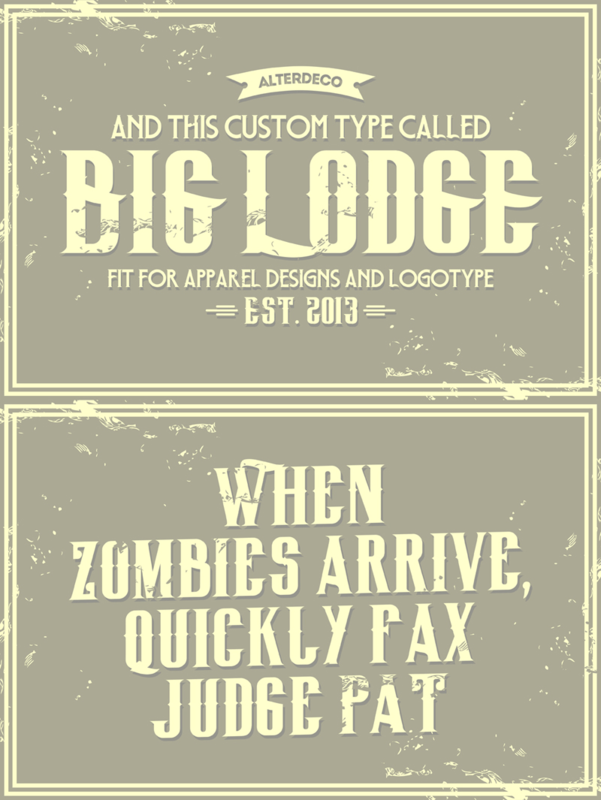 This is the free version of my "Big Lodge Type" font, wich is old fashioned type face, inspired by so many old and vintage typographys, retro tags, etc. please enjoy it and if you have any questions regarding this font, please contact me at helloadit@gmail.com - I am also available for custom logotype projects, and other graphic design related. This free version is available for personal use and commercial use (with permission), why don't you just go buy the full paid version here http://creativemarket.com/aditsaputra and find my other fonts there.